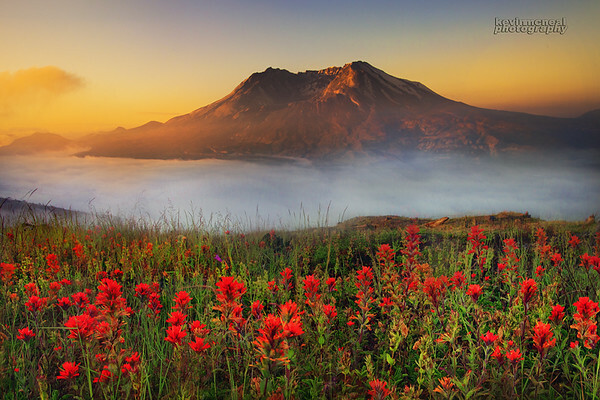 This was taken a few years ago from the Johnson Ridge area on Mt St Helens. At the time there was some surrounding wildfires which really helped with the atmospheric conditions that morning. I am looking forward to getting up there again this year as spring has it very early this year up there.